KPMG is a global professional services firm which provides expertise in audit and assurance, tax and advisory services. 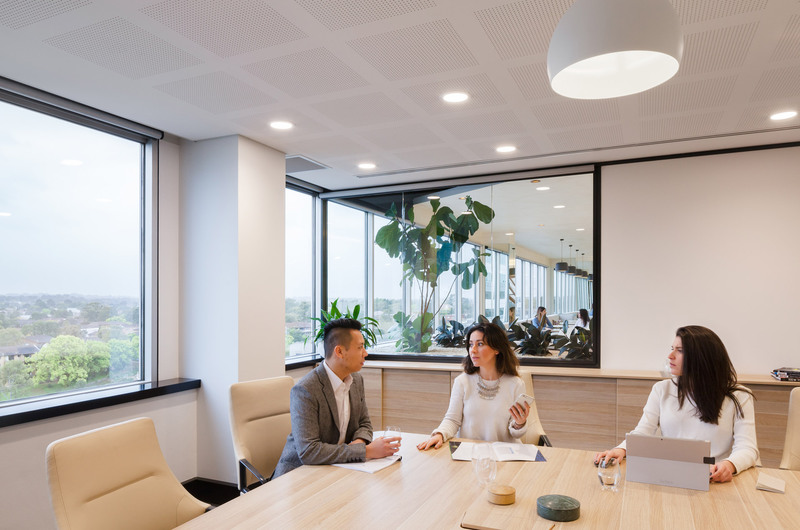 In Australia, KPMG has a long reputation of professionalism and integrity with a dynamic approach to advising their clients in a digital-driven world. 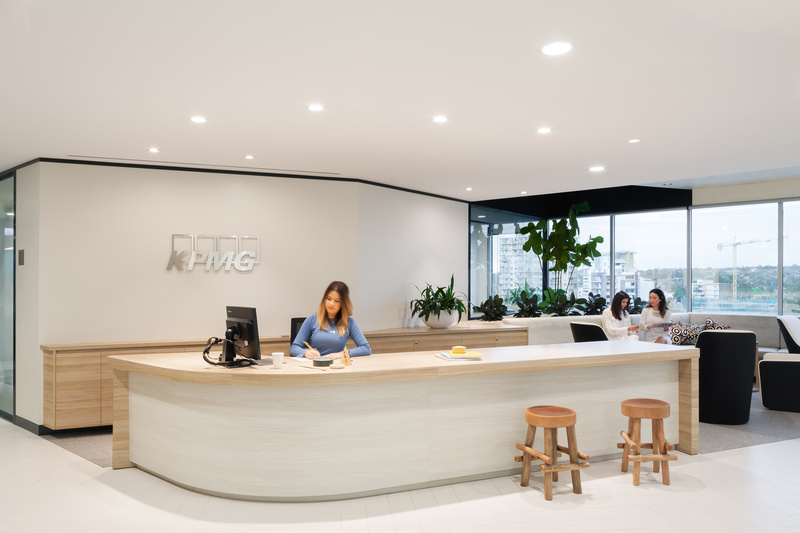 KPMG have approximately 6,700 people, including over 400 partners and 13 offices around Australia. Their Australian network continues to expand. 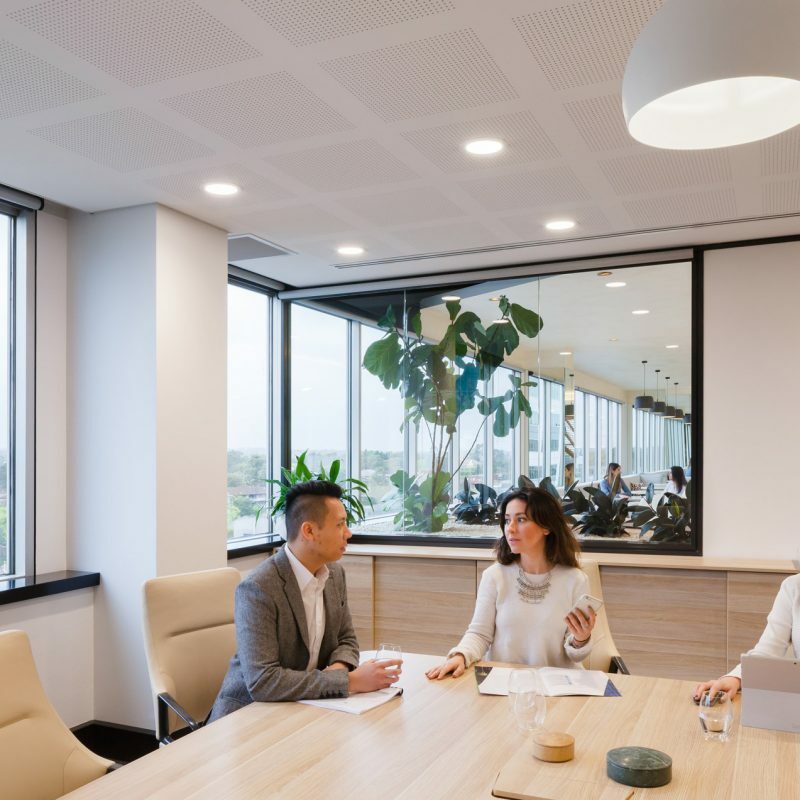 A part of this expansion is KPMG’s new workplace in Western Sydney which provides support for the rapidly growing and diverse economy of the region. 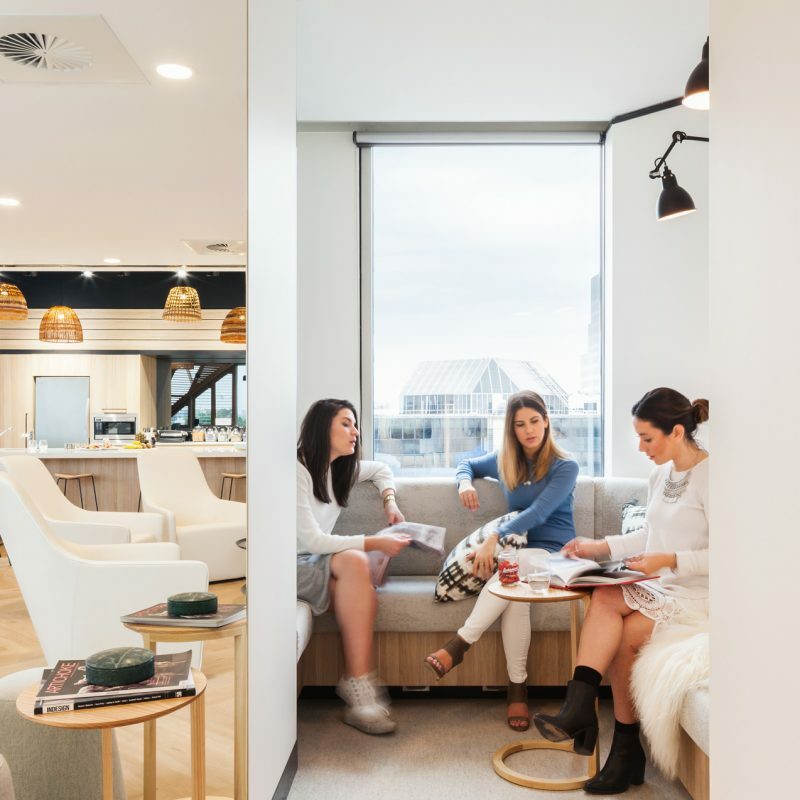 The organisation has adopted a new innovative way of working that provides flexibility for their staff and better outcomes for their clients. 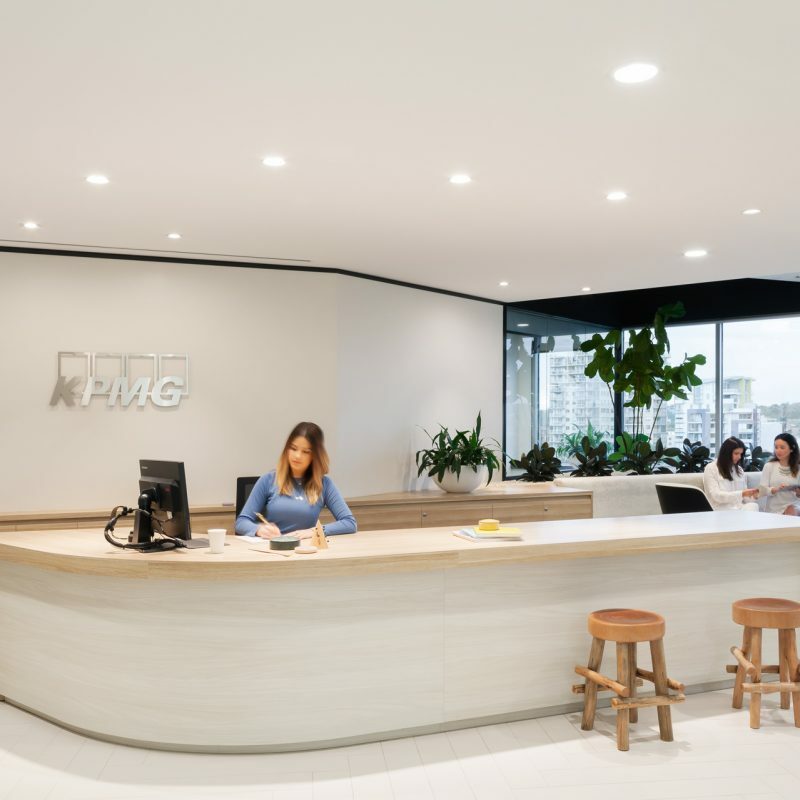 It was important the workplace acknowledged the indigenous heritage of the area along with KPMG’s commitment to the Reconciliation Action Plan. 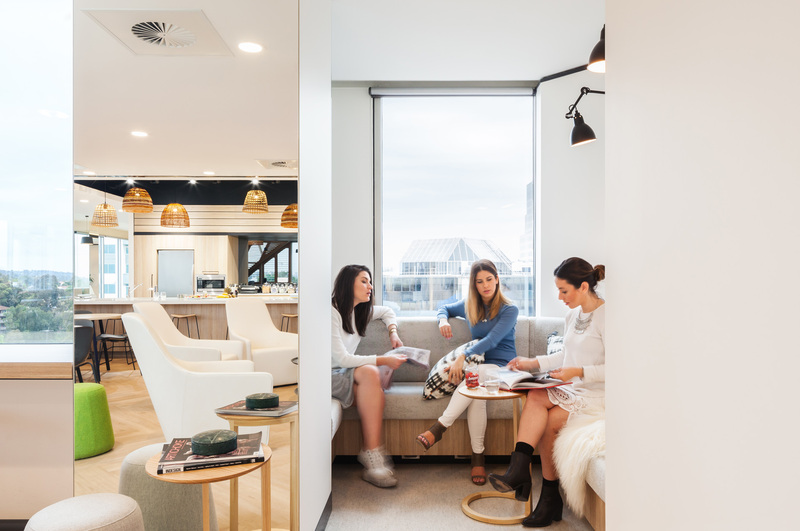 In response the design incorporates indigenous art and textiles which can be seen directly on upholstery, artwork, feature lighting and custom furniture. 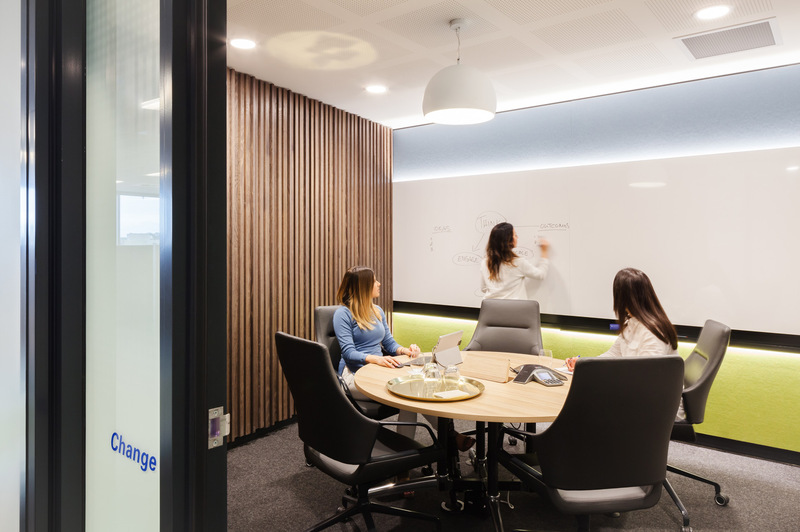 KPMG has adopted a new innovative way of working that provides flexibility for their staff and better outcomes for their clients.